Every month tens of thousands of people search for ‘betting tips’. When betting, you want to increase your chances of winning. A tipster, in theory, should help you do this. Their historical performance gives you the confidence they will do this. Replicate their bets, and you too can enjoy the same success in betting. Sadly it is not that easy. We reveal why this is not the case. If you were a bomber in WW2, you had a survival rate of just 65%. The question ‘how can we improve chances of our bombers coming home?’ was presented to engineers. One answer was to increase the amount of armour. Bombers were already heavy, and too much armour would hinder the agility and speed of the planes in the air. Special consideration to where to build the extra armour into the aircraft had to be made. Engineers looked at the bombers returning from missions. Those planes were shot most along the wings, the body, and at the rear gunner. This is where they suggested placing the armour. However, a statistician named Walder intervened. He pointed out that the engineers had made a mistake, falling for a concept now known as ‘survivorship bias’. Bullet holes on the returning planes were where planes were already strong enough. Armour needed to be built where the bombers not returning were instead shot. Survivorship bias is the term given to the illogical error of focusing on successors, rather than the losers due to their lack of visibility. It is a misconception to focus on the successful, as the difference between success and failure becomes hidden when failure is invisible. Only successful tipsters shout and boast about their winning selections. The losing tipsters delete their tips and start tipping under a new username or website. This lures many following betting tips into the trap of survivorship bias, through two illusions. The infographic below brings this to life. The infographic uses 50 tipsters for illustration purposes only. Probability dictates, that out of the tens of thousands of people tipping, some at least are going to get it right due to the sheer volumes. However, that does not mean that they are any more likely to predict future results too. At the point you start following the tips and replicating bets, the previous history has little or no importance. You will be embracing the same probability going forward as any other punter. Ever seen ‘previous performance is not an indicator of future performance’ on investment adverts? That is because the same principle of survivorship bias applies to active investments. The industry regulator forces them to include this message alongside their adverts. There is no regulator for tipsters, and that’s why the message is absent. 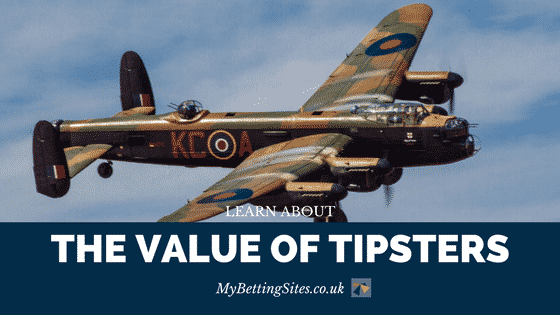 Finding the most successful tipsters for many is vital. Leaderboards sort the most successful tipsters and hide the worst performers. These only compound the issue of survivorship bias. Thousands of tips are added daily, and the ones that succeed through luck are visible. The role of good fortune is underplayed. From the user’s perspective, they only view the successful tipsters and assume this is therefore down to skill. When you learn how tipsters make money, you might be less inclined to use them. There are two main ways. From subscriptions, and from their followers losing. Subscriptions to tips can be big business. The small price of £5/£10 per month seems low considering the profits from the winning bets. A few hundred or thousand paying subscribers and the tipster has a decent income. It begs the question though; does the tipster need the hassle of running a subscription service if they’re already a successful punter? Secondly, tipsters make money from you losing bets. Many have financial agreements with the bookmakers and take a percentage of the profit of players that sign up via their links. If they suggest a tip, you back it, and you lose, they profit. Both the BBC and The Guardian have exposed this. How is it possible to trust tipster that is incentivised so much to make you lose? Should You Ever Follow Betting Tips? We can’t promise you that the perfect tipster does not exist. We can tell you though that the chances are almost impossible, and 99% of successful tips are down to luck. Sooner or later, like all other tipsters, they will go wrong. Be pessimistic about any websites or tipsters that guarantee autopilot income. They are probably making money but at your expense.